Crimson tassels cascade to the ground from an exotic, showy, bushy plant. 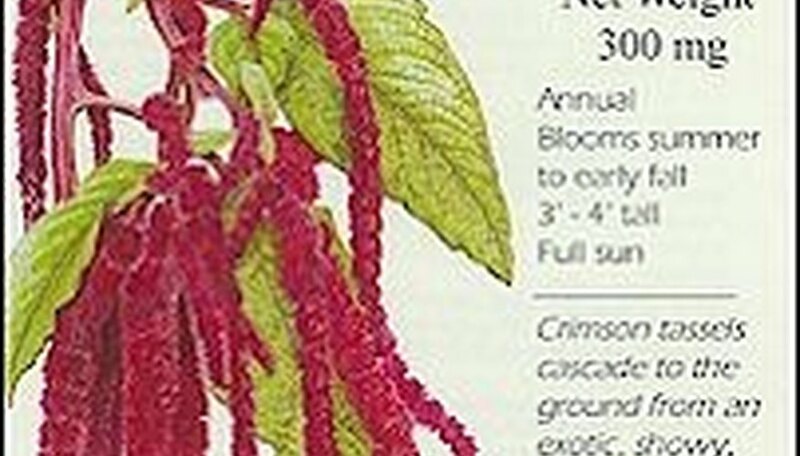 Love-lies-bleeding was popular in colonial America and Victorian English gardens, and the plant's history is as colorful as its reddish-purple tassels. Adds drama and a touch of the tropics to the back of the border, and is often used as a focal point. Tassels can reach 18" and last for many weeks and are excellent for cut and dried arrangements. Also called tassel flower, prince's feather and red cockscomb. When to Sow Outside: Spring, after the average last day of frost. When to Sow Inside: 6 to 8 weeks before last frost. 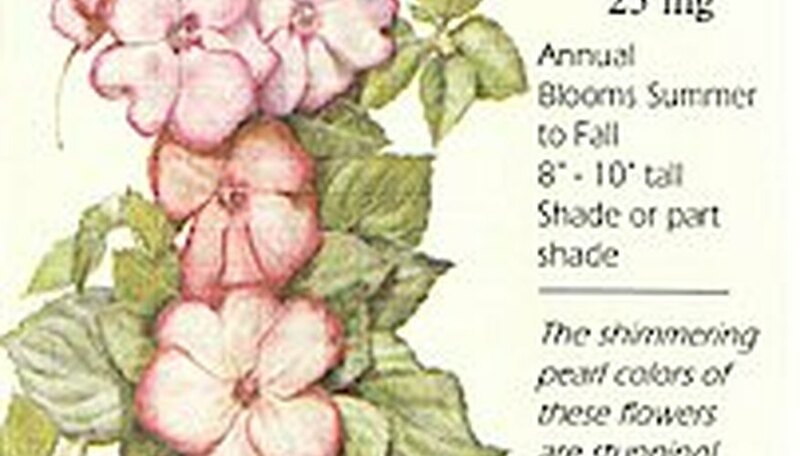 There simply are not many plants that flower proflifically in the shade loike impatiens. The flower petals shimmer with an unusual glow in pink, coral and peach, surrounded by a darker petal margin that distinctively sets off each bloom. Best planted grouped in beds or borders. For cherry winter color, can also be grown indoors in a bright location as a houseplant. Bloom Time: Summer to first fall frost. Exposure: Shade or part shade. When to Sow Outside: Spring after the last frost. Seed Depth: Press lightly into soil. Requires light to germinate. 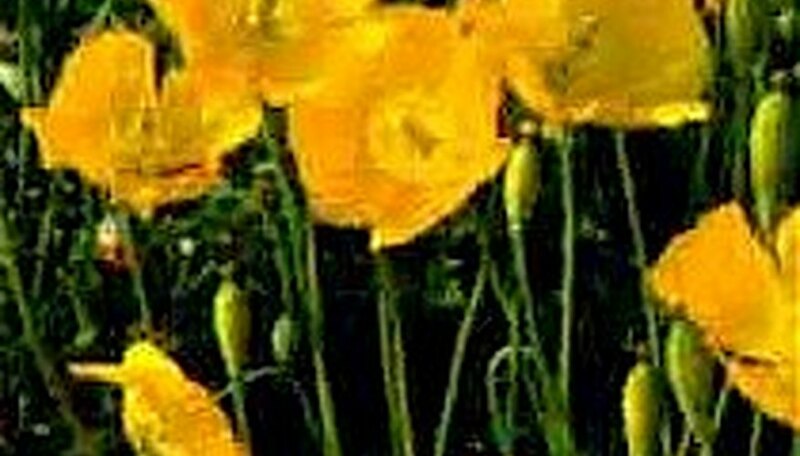 The bright yellow-orange flowers and finely divided gray-green foliage of the California poppy look best when planted in large drifts, although it grows well even in crevices of rockeries. Flowers appear in spring and last throughout the summer. They are suitable for cutting but will close at night. Place flowers in water immediately after cutting. Plants grow 12-20 inches high and spread up to 20 inches. The plant is not suitable for the tropics, but will grow well in most other climates. It must have full sun and well-drained soil, but will tolerate poor soil. Sow seeds in fall or early spring directly in the garden as it is not easy to transplant. Seeds should be planted ¼ or less deep and take care not to dislodge seeds when watering. Water regularly to establish, and only an occasional deep watering is required thereafter. Plants are drought-tolerant and overwatering will cause the roots to rot. Fertilizing is usually not necessary and overferitlizing will cause an abundance of foliage with no flowers. In cold climates, sow in spring as early as the soilcan be worked. In warm climates, sow in fall for falland early spring color. Luminous, upward-facing chalices glow in the spring garden. Tough and easy desert bluebells laugh off the most inhospitable conditions. For the greatest impact, plant in large numbers. Plant in spaces between paving stones, in rock gardens, and in the front of the flower beds. A useful suggestion - sow little strips of bluebells between vegetable rows. The beautiful flowers will be covered with butterflies and bees. Thinning: When 1" tall thin to 8" apart. When to Sow Inside: Six weeks before last frost. Best sown outside. For hot southern or desert climates or a hard to maintain spot near a concrete or reflecting wall, vinca is your plant! Blooms best when other plants are hurting from the heat. Very few insects or disease problems. Can be grown as a perennial in frost-free areas. Readily reseeds itself. Very drought tolerant. When to Sow Outside: Plant near your last frost date. When to Sow Inside: 12 weeks before last spring frost. Since plants are slow to get growing outside in spring, starting indoors is recommended. Almost infinite uses - window boxes, ground cover, on a trellis as a screen, in hanging baskets. 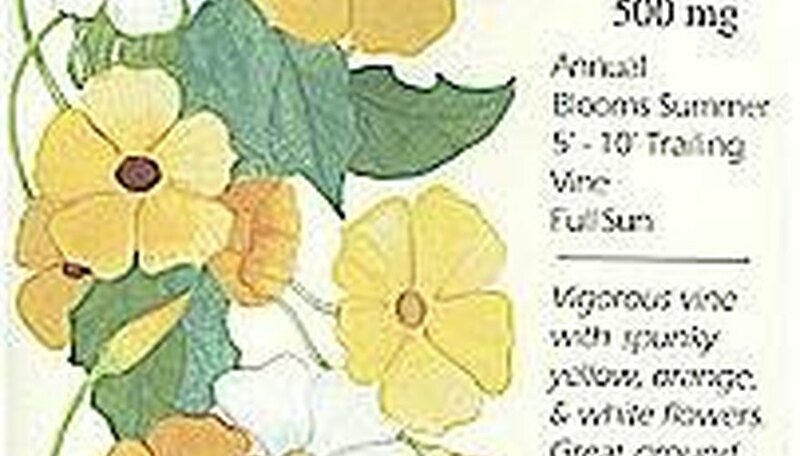 Very fast growing vine has vibrant orange, yellow and white flowers which contrast brilliantly with the solid black 'eyes.' Easy to grow from seed. With shades of white, lilac, and blue flowers, Isaac House Mix has wonderfully long stems for cutting. The blossoms appear as fragile as a summer snowflake but this is a tough, carefree, very hardy plant with few pests or diseases. It can be grown in the coldest regions of the US. 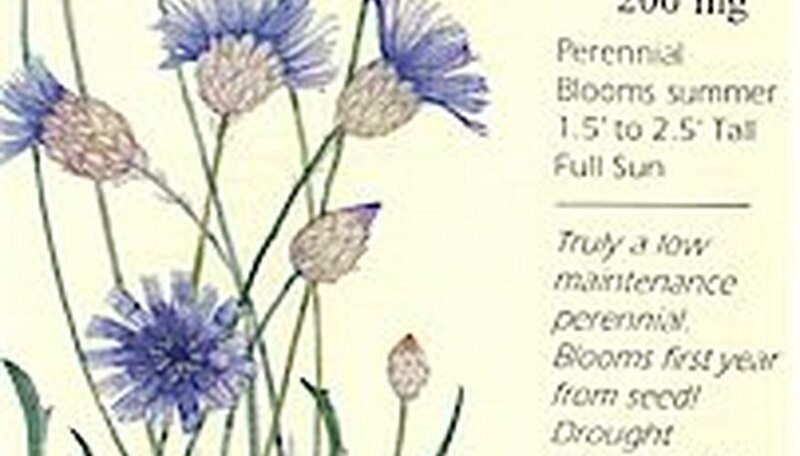 Scabiosa has an exceptionally long bloom period for a perennial. Dried seed heads are often used in arrangements. If you love 'snaps' you'll want to try this dwarf variety. Magic carpet mix is the perfect choice for containers, front of the border, and their trailing habit makes them ideal for hanging baskets. The incredible mix of colors are a delight for cut flower enthusiasts. Snapdragons grow best in cool weather. Bloom Time: Spring to early summer. When to Sow Outside: Early spring, as soon as the soil can be worked. In warm climates, plant in late summer for fall, winter and spring blooms. When to Sow Inside: 6-8 Weeks before last frost. Thinning: When 1/2" tall thin to 12" apart. 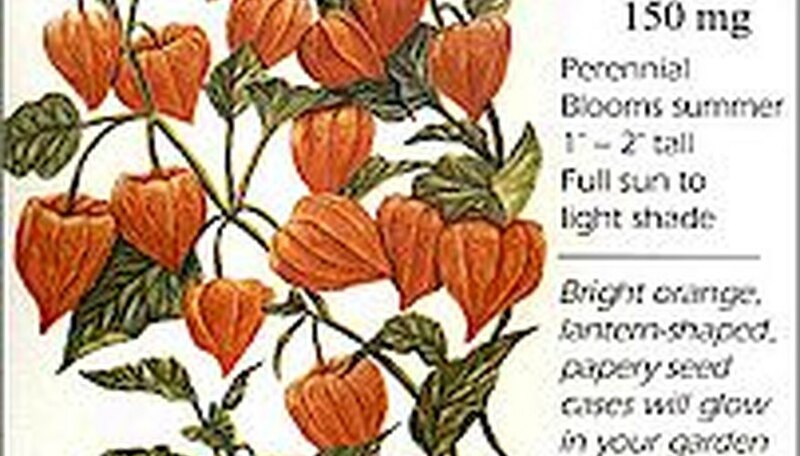 Chinese Lantern is a very popular plant in dried arrangements, and for good reasons. 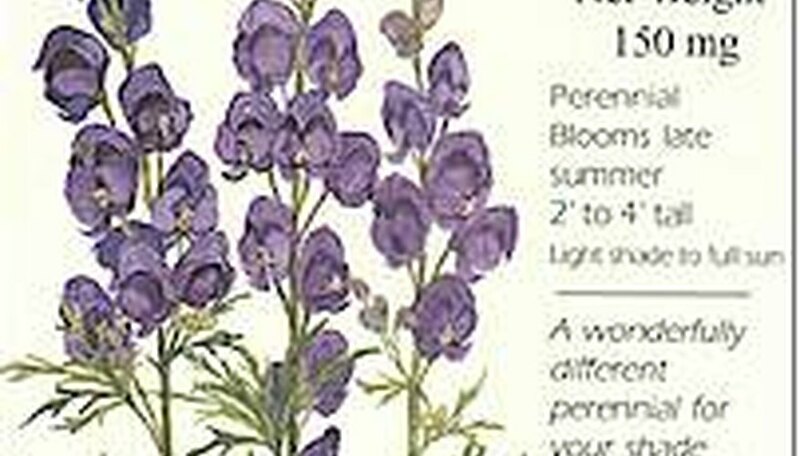 They have brilliant color, unique shape, are easy to grow, and last a long time. A striking addition to fall/winter decorations, as well as late summer color for borders, beds and containers. Also called Winter Cherry. Often grown as an annual. When to Sow Outside: After all danger of frost has passed and up to 8 weeks before first frost. Best started outside in late summer. 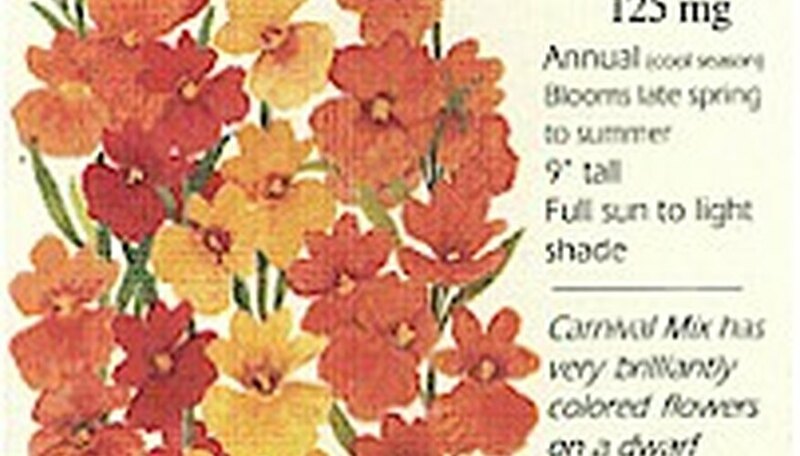 Seed Spacing: 3" to 6"
If you like cut flowers, you must grow Sweet Sultan. It's easy to grow and very fragrant. This variety is somewhat taller than most bachelor buttons, with 2" flower heads that are thistle-looking and almost shine. Prefers a waarm location and must have full sun. Don't water overhead. When to Sow Outside: Early Spring - 1 to 2 Weeks before last frost. 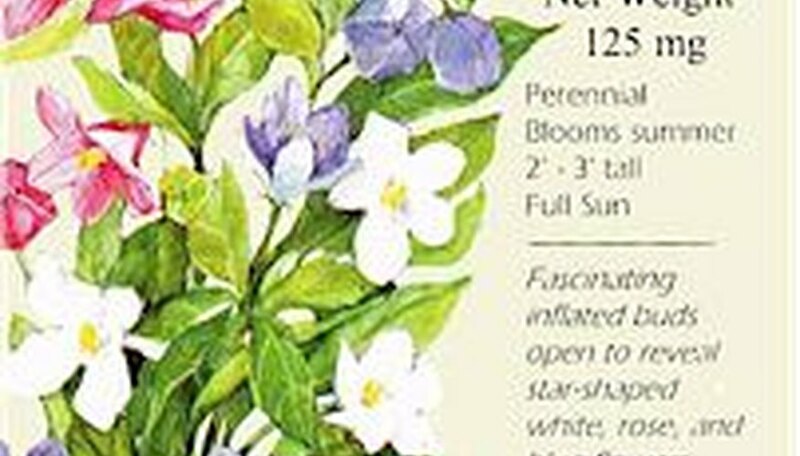 Plant this fast-growing vine on a porch, near an entrance, or under a window where you can enjoy the evening performance and heady fragrance. The flowers unfold in 2-3 minutes, and event worth waiting for! When to Sow Outside: In spring after last frost or early summer. When to Sow Inside: 6 to 8 weeks before planting outside. 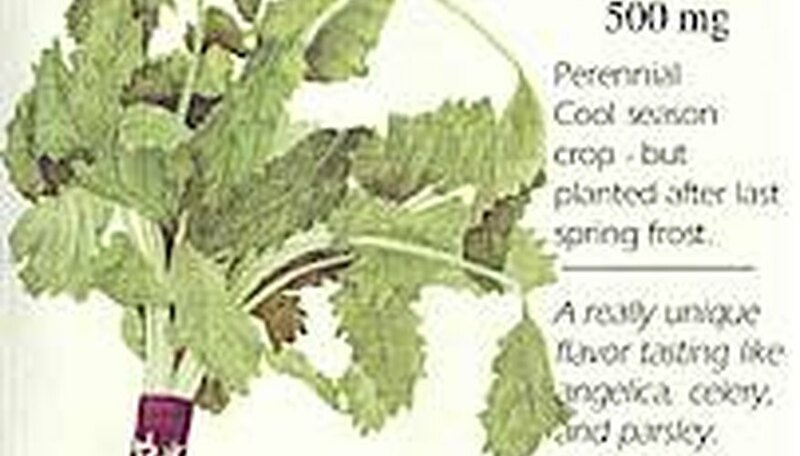 Seven Top does not grow a turnip root - it puts all of its energy into growing the best turnip greens you have ever tasted. It's not a commonly growing vegetable, but it should be. There are not many greens more nutritious and tasty when steamed, stir-fried, or used in salads. Seeds can also be used for sprouts. This packet plants one 75-foot row or seven 10-foot rows. When to Sow Outside: Early Spring - 3 to 4 weeks before last frost or when soil temperatures reach 45 degrees. When to Sow Inside: Not recommended. Thinning: When 1/2" tall, thin to 3" apart. 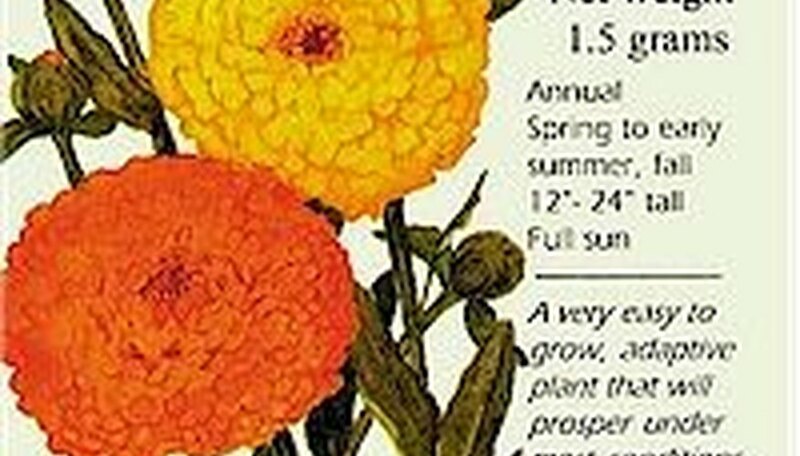 Every vegetable garden needs Lemon Drop Marigolds! It attracts bees for pollination, and is believed to repel some insects. Short, 5" to 8" plants produce an abundance of canary yellow flowers that look great in pots and planters or planted in mass. Blooms from spring until frost. 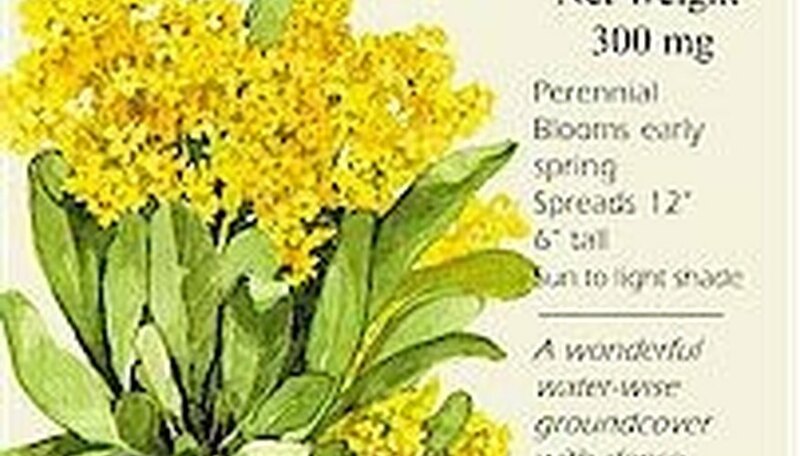 Try using Lemon Drop as an annual groundcover. Adds a bright spot of color and takes up very little space. 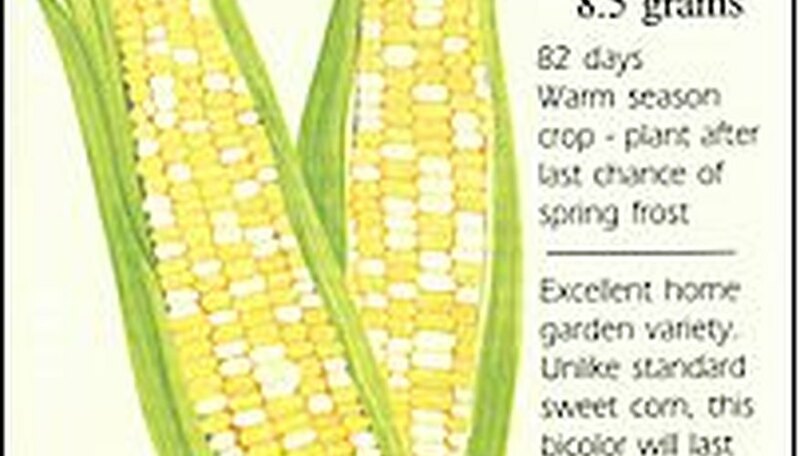 When to Sow Outside: Spring, after last average frost date. When to Sow Inside: 4 to 6 weeks before last frost. This special dwarf variety of Basket of Gold is tight, compact, and very attractive. 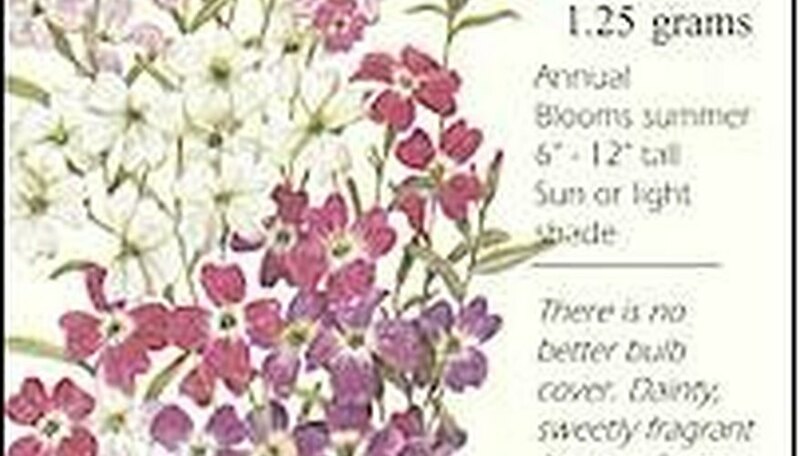 Combine with red tulips, blue phlox, and candytuft for a wonderful early spring color display. Excellent in rock gardens, the front of the border, and as a groundcover. Looks incredible cascading down walls. When to Sow Outside: Spring, 2-4 weeks before average last frost and/or/ late summer or early fall. You won't find an earlier bean. Contender is tasty, and will tolerate hot temperatures and mildew. This highly productive, stringless bean is about 6" long, thick and slightly curved. Plants grow to between 12" and 20". When to Sow Outside: Spring, a week or two after last average frost date, and after nights are no longer cool. Seed Spacing: 1" to 2"
Thinning: When 4" tall thin to 6" apart. Another one of those dramatic perennials you MUST have for your perennial garden. Best in shade under trees or on the east or north side of a house. Can be grown in sun, but must be watered constantly. Note: All parts of this plant are poisonous, especially the roots. When to Sow Outside: Late fall or early winter for germination the following spring. Start indoors if you plan to plant in spring. When to Sow Inside: Place seeds in water or moistened soil and freeze for three weeks. Germinate at cool temperatures between 55 and 60 degrees. It's hard to find a tomato that matures this early and tastes this goo. First lady has great disease resistance, too (VFNT) and resists cracks. Fruit is 5 to 6 ounces. This is one of the earliest tomatoes that is resistant to nematodes. One packet produces 10 plants after thinning. Thinning: When 2" tall, thin to 18" apart. Bishop's Flower lends a delicate airiness to a strong perennial border and combines well with stout, robust plants such as Cannas and Foxgloves. It attracts butterflies and makes an excellent cut or dried flower. This heirloom has been popular in winter arangements since colonial times. Money plant was introduced to England from Germany in the late 1500s and brought to America by the Puritans. Money plant is also called honesty, silver dollar, satinflower, penny flower, Judas' penny, and moonwart. Plant in mass in beds, borders or along the edge of shrub plantings where shining pods can catch the sunlight. Being a biennial, plant in spring and will flower/ produce silvery seed pods following year. 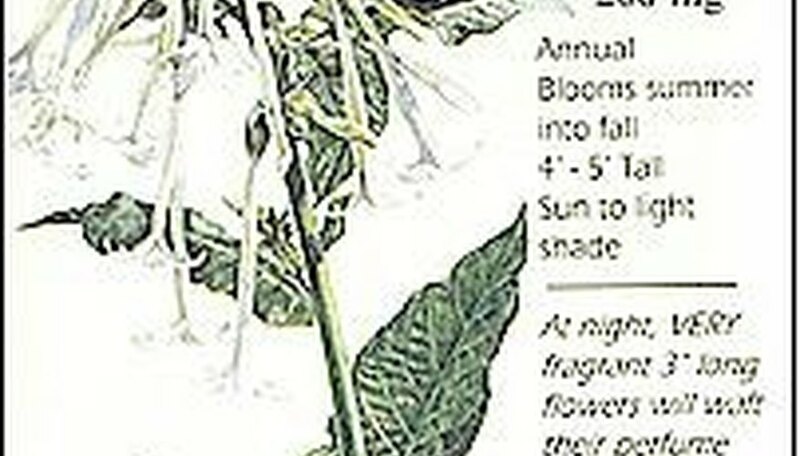 When to Sow Outside: After the average last frost for bloom the following spring. When to Sow Inside: Not recommended. Does not transplant well. Thinning: When 1" tall, thin to 12" to 15" apart. This WILL be the most magnificent plant in your garden with some special care. Tall, elegant spires of closely packed, large, well formed blooms. Pink, violet, and many shades of blue flowers. Resists mildew. Excellent cut flower. Great perennial background plant. When to Sow Outside: Spring after last frost or late summer two months before first frost. McKana's Giant is a superior strain developed for its very large, 3" flowers, a beautiful range of colors, and long graceful spurs. 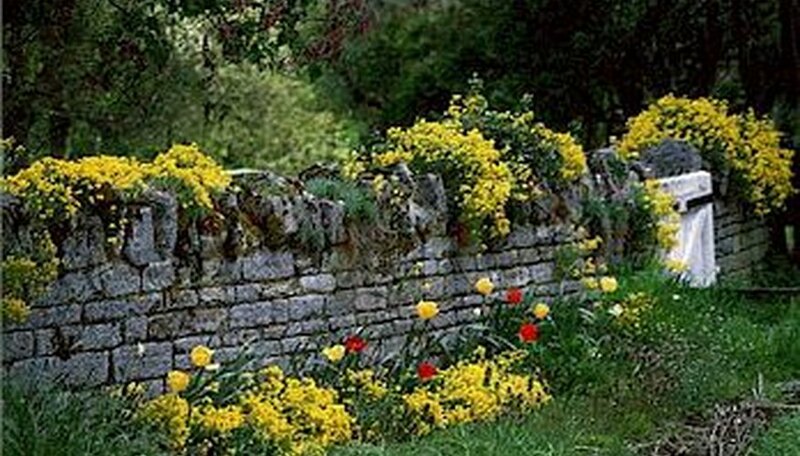 Excellent for rock gardens, perennial beds and borders, and wildflower areas. 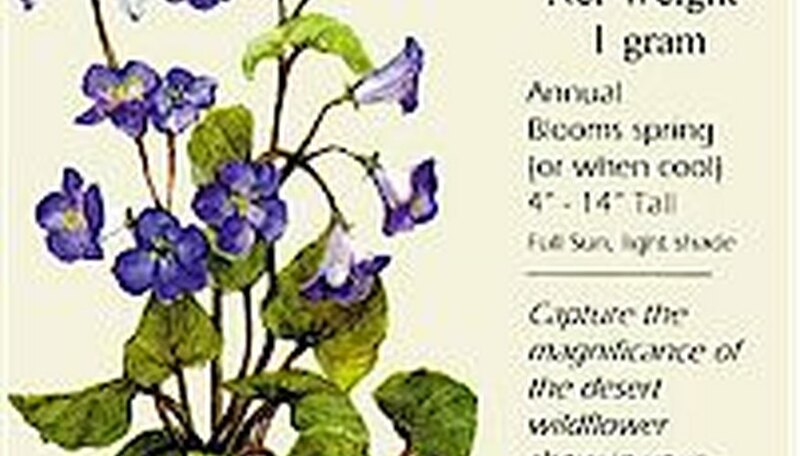 It grows and blooms well in shady areas. Flowers add grace to dried arrangements. An All America Selection. When to Sow Outside: Early Spring - 3 to 4 weeks before last frost is best. Plant as late as 2 months before first fall frost. When to Sow Inside: 6 weeks before last frost. Thinning: When 1 - 2 inches tall thin to 1 - 2 feet apart. 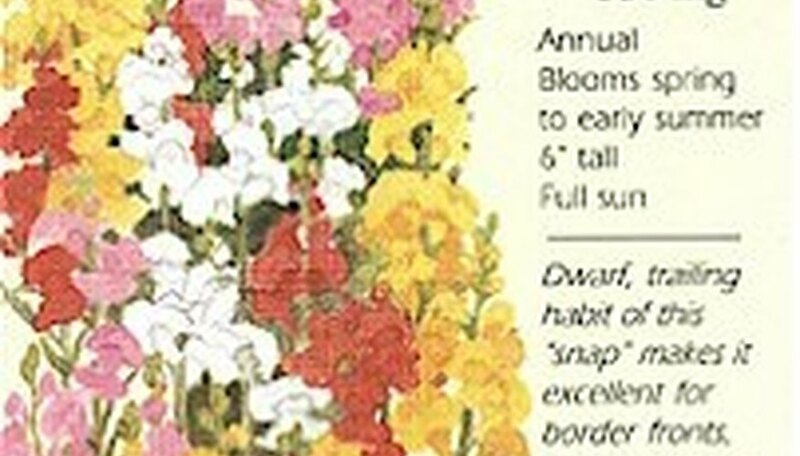 Cute as a button, this wonderful cool season annual has snapdragon-like flowers that come in shades of cream, yellow, blue, orange, crimson, pink, and bi-colors -- almost every color of the rainbow, with orange being the most common. Used as a long lasting cut flower. When to Sow Outside: In warm climates sow early spring or fall. In cooler climates, start indoors. When to Sow Inside: Twelve weeks before last frost. Transplant after last frost. Victoria Blue will make a wonderful addition to your shade garden! We chose to carry this variety because of its mounding quality - a much better variety than most. Excellent in rock gardens and absolutely quaint when petite blue star-shaped flowers bloom with spring bulbs. One of the earliest spring bloomers. This Alaska State Flower symbolizes friendship. 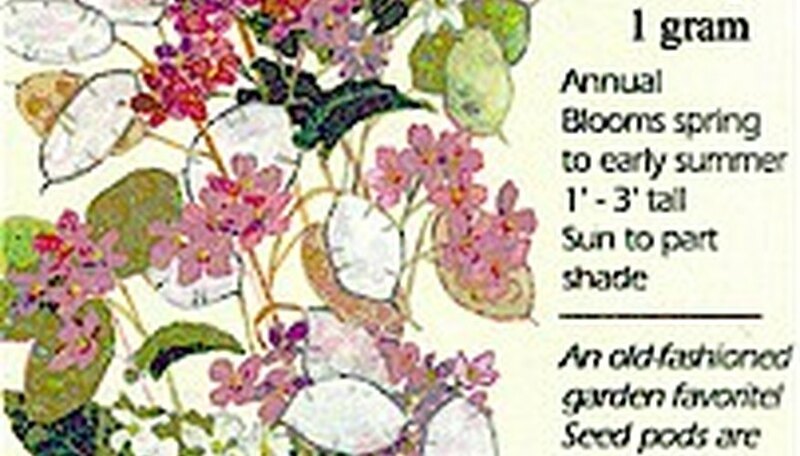 When to Sow Outside: Late summer or early fall for early spring bloom. When to Sow Inside: 4-6 weeks before planting outdoors in early spring. Calendula, an old English cottage garden flower, is not fancy, but if you are looking for something with large, dramatically beautiful flowers, easy to grow from seed, and is adaptable to a variety of conditions this is your plant. Tolerates a lot or a little water, will grow in most soil types. Also called 'Pot Marigold'. Long lasting cut flower, great in parking strips, containers, and borders. COLD WINTER CLIMATES: Early spring, as soon as the soil can be worked. 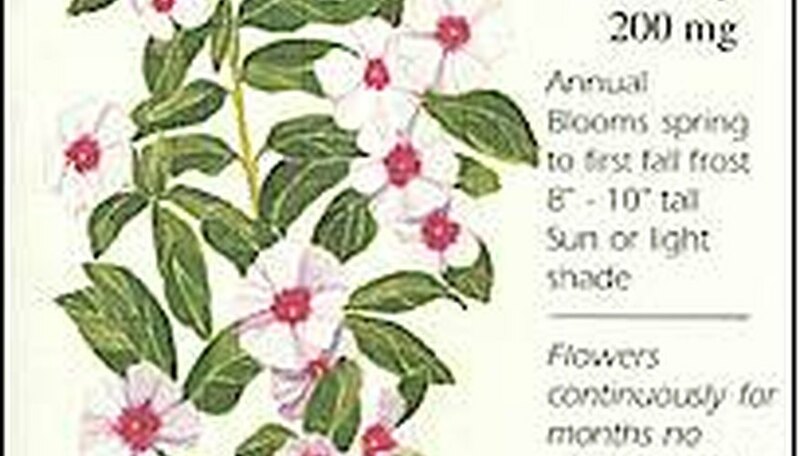 WARM WINTER CLIMATES: Late summer, early fall for winter/spring blooms. Early spring also OK. When to Sow Inside: 6 to 8 weeks before average last frost. Recommended for cold winter climates. Seed Depth: 1/4" to 1/2"
English Daisy is the 'original' Daisy - the yellow-eyed, bright red and white flowers will brighten up any border or rock garden. Used as a delightful edging plant and a superior companion plant for spring-flowering bulbs. May continually bloom in coastal climates. Prefers shade in warm, inland summer areas. When to Sow Outside: Early spring, 4 to 6 weeks before last frost, or in mild climates it can be sown in late fall / early winter. When to Sow Inside: 6-8 weeks before average last frost. Transplant as soon as plants are large enough to handle. Celosia Pampas Plume, with its vivid plumes in scarlet, rose, carmine, gold, cream and bronze, provides a dramatic garden backdrop or focal point in beds, borders or containers. The large, feathery flowers are ideal for fresh or dried bouquets. An easy to grow plant loving heat and humidity. Prefers a fertile, well drained soil, rich in organic matter. When to Sow Outside: Spring, after last frost and when soil has warmed. Break out of your gardening rut and try Mitsuba - a delightful Japanese herb with a flavor similar to Angelica. 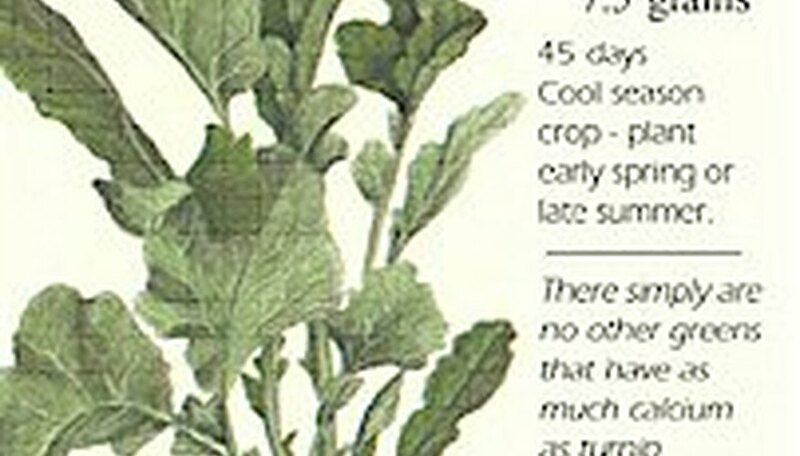 The cress-like young seedlings are used in salads and the stems and leaves are chopped and used to flavor a number of dishes. Mitsuba is a woodland plant that will enjoy a little shade. It reseeds itself to spread and will withstand temperatures as low as 15F. With a little protection, it can be harvested into winter. When to Sow Outside: Even though it's a cool-weather plant, seeds will germinate best if you wait until after the last frost to sow. Can also be planted in early fall. Thinning: When plants have two leaves, thin to 2" apart. 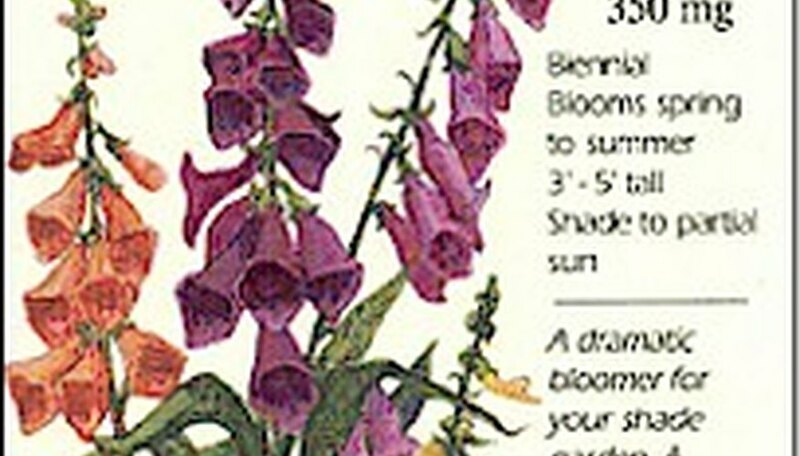 This is a very sturdy variety of foxglove, with larger flowers than most. It is considered a biennial -- it produces foliage the first year and flowers the second. It performs best in shade and looks good in naturalized areas. 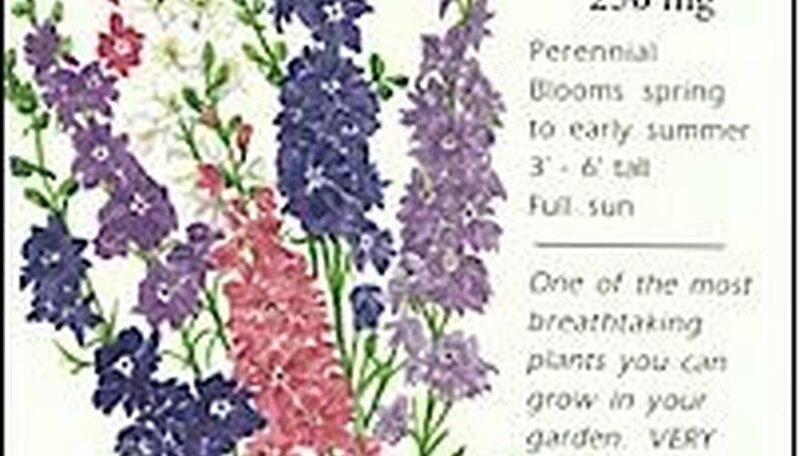 Plants readily reseed themselves, and foxglove is considered 'carefree' and easy to grow. When to Sow Outside: Spring, after the last average frost, up to 2 months before frost. When to Sow Inside: 8 weeks before last frost. It is generally started outside. With biennials, the 'early' advantage of inside starting is lost since blooms won't happen until the second year. 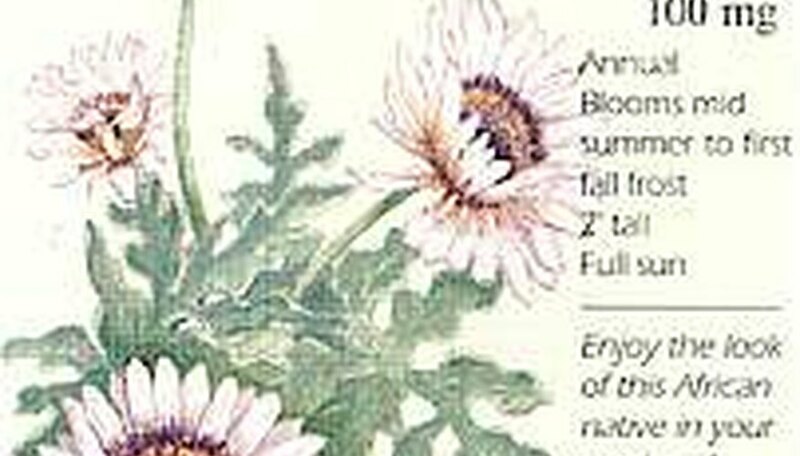 Raggedy petaled lavender-blue daisies bloom profusely for several weeks. Thriving on benign neglect, all Cupid's Dart asks is a well-drained and sunny site. Historically, Cupid's Dart was used to make a potion to trap the unwary heart, hence the name. Not guaranteed to find a mate, but you can't help but be smitten by these casual little daisies. When to Sow Outside: Late winter to early spring, 3 - 4 weeks before the last spring frost, and while nights are still cold. Seeds require cold to germinate. Can also be planted in fall in mild climates. When to Sow Inside: Spring - 6 to 8 weeks before last frost. When to Sow Outside: Spring, after last frost. If we had to choose two vegetables that were MUCH better home grown than bought from a store (hard task, there are a lot!) corn and tomatoes would be our choice. This sugary enhanced variety is sweeter than standard sweet corn. 16-18 rows of tightly packed white and yellow kernels. Longer storage than regular sweet corn - maintains sweetness 3-4 days after harvest. This packet plants 3 6-foot rows. 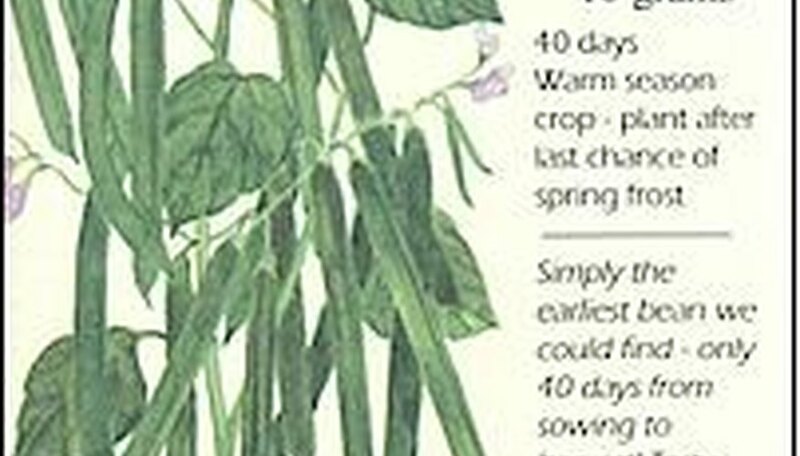 When to Sow Outside: Spring, a week or two after last average frost date. When to Sow Inside: Corn does not transplant well and should not be started indoors. Thinning: When 4" tall thin to 1' apart. 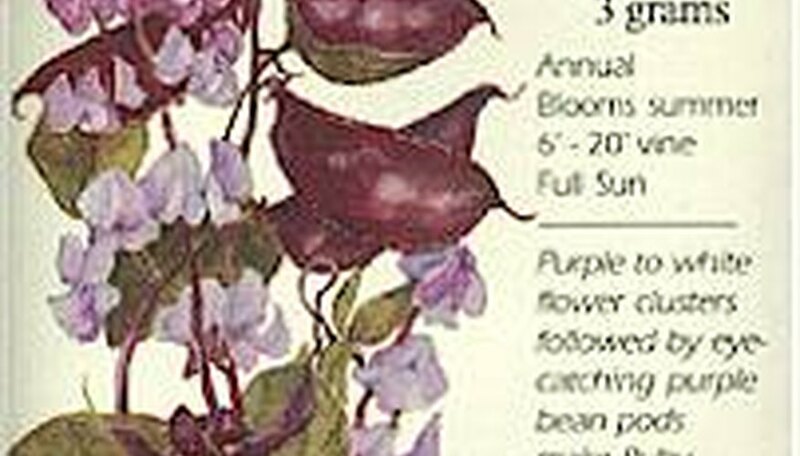 You'll have color all summer long from the purple, velvety bean pods, the purple & white flowers, or the beautiful foliage. Multi-use: makes a quick screen on a fence or trellis, a unique hanging basket, or an unusual ground cover. Hyacinth bean is a legume and will enrich your soil with nitrogen. When to Sow Inside: 6-8 weeks before last average frost. An attractive, 18" dome of a myriad of beautiful flower colors. This variety is a double Sweet William! One of the best, longest lasting cut flowers available. Technically a biennial, but reseeds itself for flowers year after year. Shearing spent blossoms will encourage blooms for another year. Easy to grow. When to Sow Outside: Spring - after last frost. 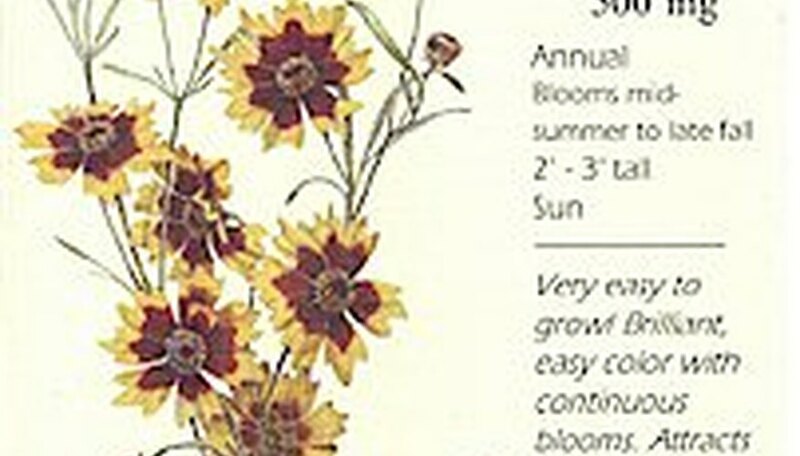 Sow in early summer for blooms the following year. When to Sow Inside: 8-12 weeks before last frost. Fascinating inflated buds open to reveal the star-shaped flowers. 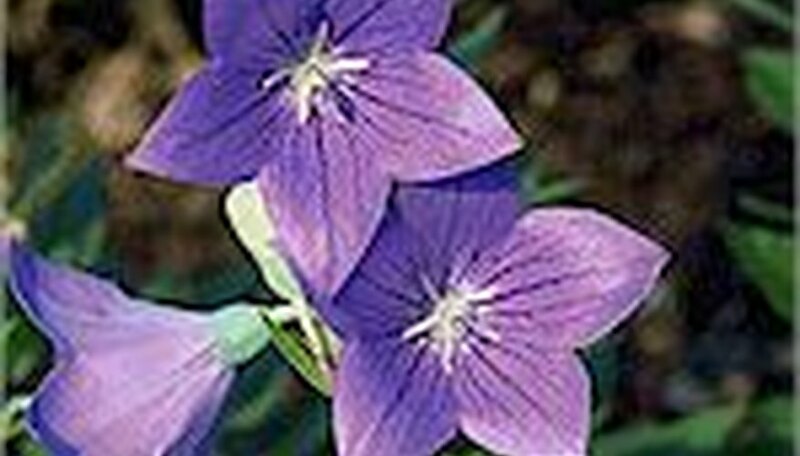 The violet-blue, white, and rose bells of balloon flower are delicately accented with purple veining and creamy yellow stamens. A rugged flower with few pests, and extremely cold hardy. Blooms for 2 to 3 months, second year from seeds. Bluish -green foliage turns golden yellow in autumn. When to Sow Outside: Early Spring - 2 to 4 weeks before last frost. Seed Depth: Requires light to germinate. Press seed lightly onto soil surface. It's hard to believe that flowers this bright and dramatic are perennials. Long flower stems make this an excellent cut flower. 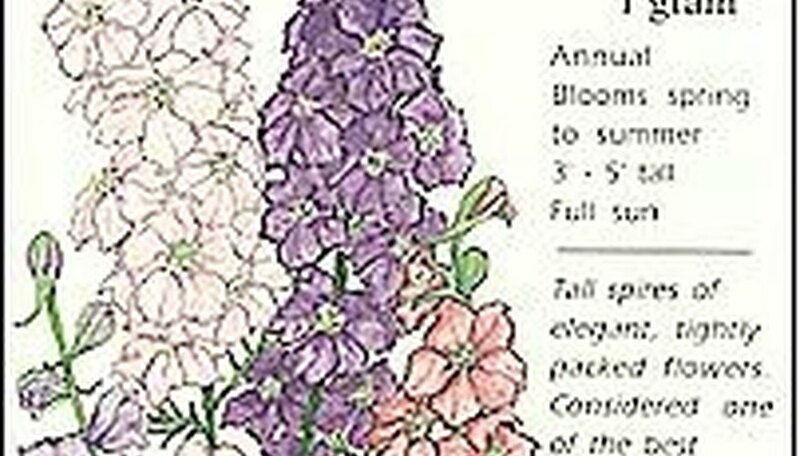 combine with Colmumbine and Delphinium for a beautiful spring display. 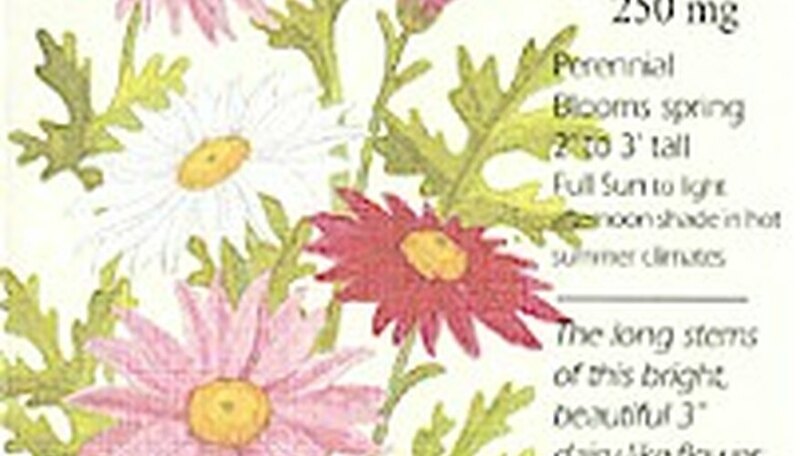 Another common name for Painted Daisy is Pyrenthrum - it's flowers are the source of the insecticide by the same name. When to Sow Outside: Spring - 2 Weeks before last frost. Seed Depth: Press onto soil surface. Requires light to germinate. Need a vine for a trellis, pole, or fence? Cardinal Climber might be a nice addition to Scarlet Runner Bean or Morning Glory - and like these two, it is easy to grow from seed! 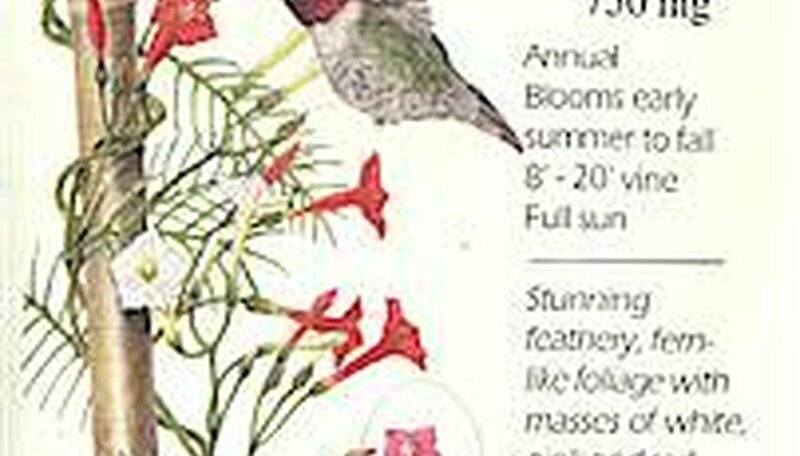 Deep red flowers with a white/yellow throat and fern-like foliage make Cardinal Climber an eye-catcher. 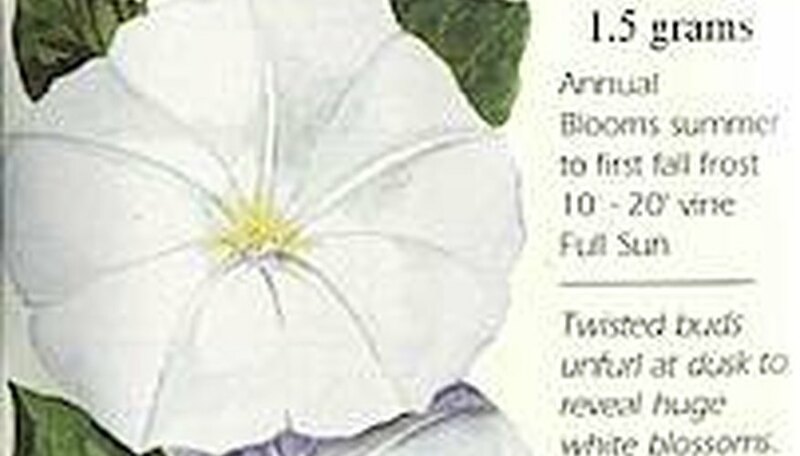 As with its cousin the Morning Glory, seeds should be soaked overnight before planting. This item can't be shipped to Arizona. When to Sow Inside: 4-6 weeks before planting outside. An English garden of 1850 would have several varieties of Hollyhock. This colorful variety will transform your garden into a garden of the past. Plants require full sun and lots of heat. Even though it is drought tolerant, it prefers ample moisture and deep, rich soil for best performance. Flowers are edible. 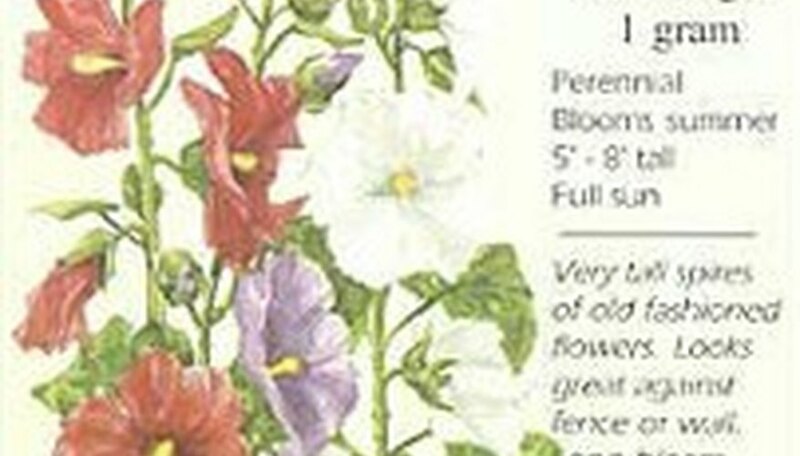 Hollyhocks are often treated as biennials, but they are actually short-lived perennials. When to Sow Outside: Start outdoors in early summer. Those started too early are susceptible to disease. 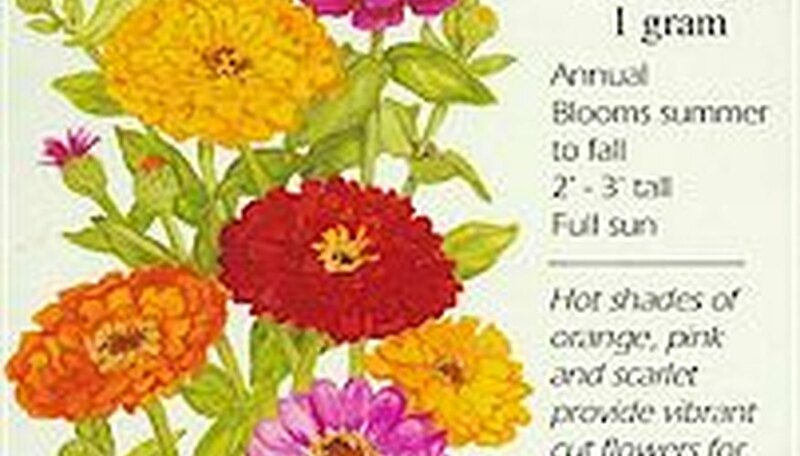 When to Sow Inside: Start 6-8 weeks before last frost for blooms the first year. Thinning: Thin to 2' to 3' apart when plants are 3" tall. Funny Valentine Blend is a festive mixture of white, pink and red flowers. Combined with the tropical-looking feathery foliage, Cypress Vine is a dazzling, easy to grow screen or trellis plant that will add color and texture to your garden. Vines grow up to 20'. When to Sow Outside: Spring, after last frost. Plant up to early summer when temperatures warm up. When to Sow Inside: 6 to 8 weeks before planting outside in late spring or early summer. A great plant for those who love white flowers. 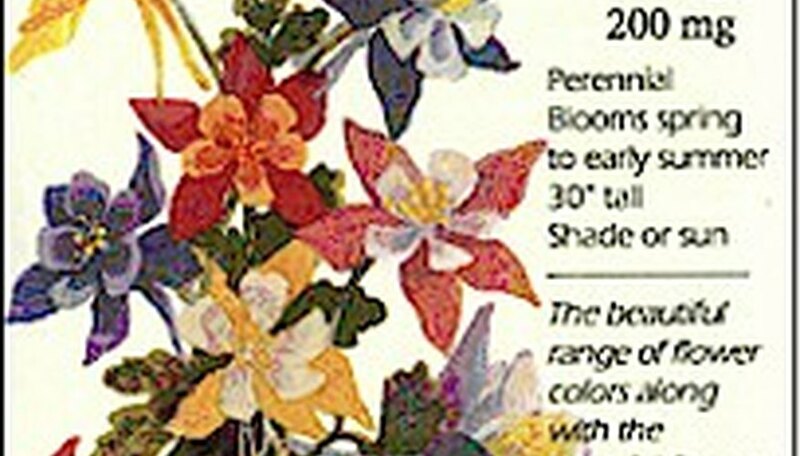 The 3" long flowers bloom atop 4' to 5' tall plants. Dramatic in appearance and intensely fragrant at night. 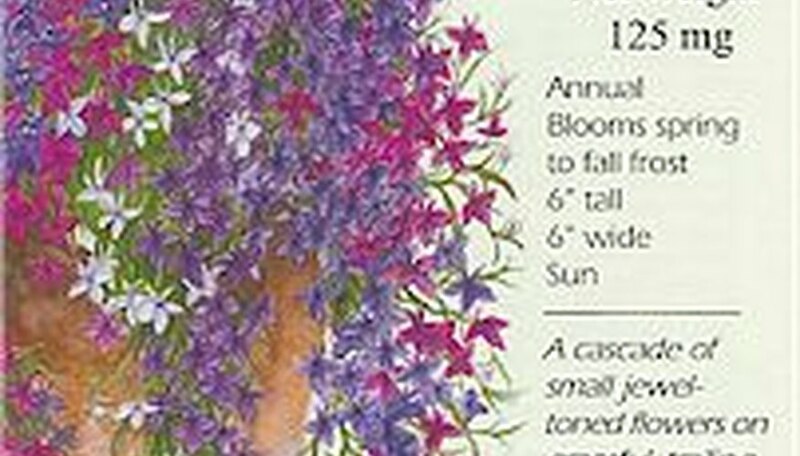 Seed Depth: Press seeds lightly onto the surface of the soil..
Cascade of Color trailing lobelia spills over the edge of any container or hanging basket to soften and complement the entire arrangement. Colors include blue, blue with a white eye, lilac, red, ruby and white. Also very effective as an all-season edging. For best results, pinch tips for bushy growth and trim lightly after first flowers fade. 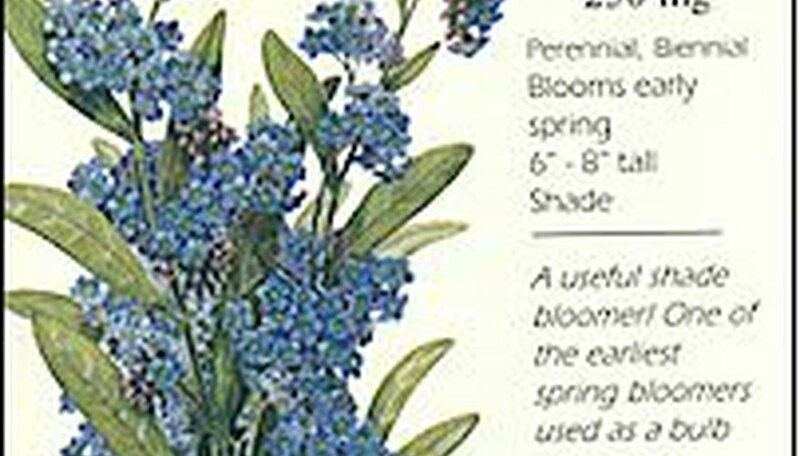 When to Sow Outside: Spring, after the average last day of frost. IN mild winter areas, sow in late summer for winter flowers. When to Sow Inside: 8 to 10 weeks before last frost. Seed Depth: press seeds lightly onto soil surface. Thinning: Do not thin. Grow in clumps. A profusion of simple, 4-petaled flowers in a harmonized blend of pink, white, reddish and lavender shades. Perfect for scattering in paving crevices, nooks and crannies, in rock walls, edging the front of the border, or cover for bulb foliage once the flowers are gone. Performs best in cool weather. Blooms 4-6 weeks after sowing. Very easy to grow. When to Sow Outside: Early spring, 2 to 4 weeks before last frost. In mild climates, sow in late winter for early spring blooms. You know what a wonderful plant salvia is, and now you can have it in a range of colors. These scarlet, salmon, rose and violet spikes will add drama to your plantings. Excellent as a border or edging plant, or in pots. 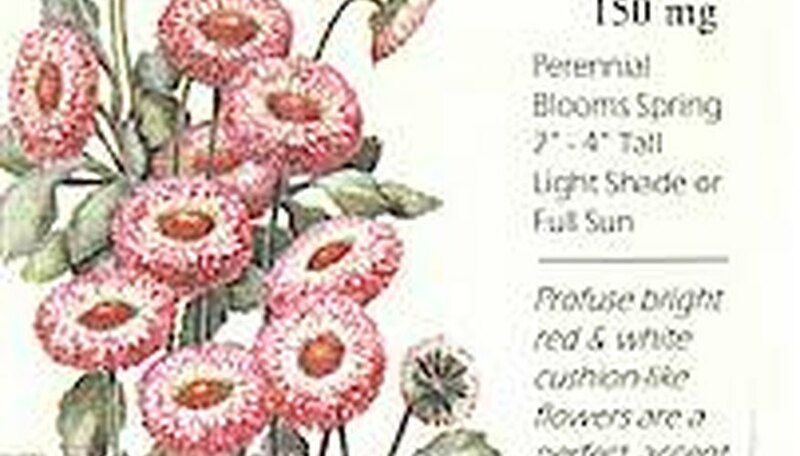 Does best in full sun, but will thrive and bloom in part shade. When to Sow Outside: Spring, after the last frost. When to Sow Inside: 8 weeks before last frost. 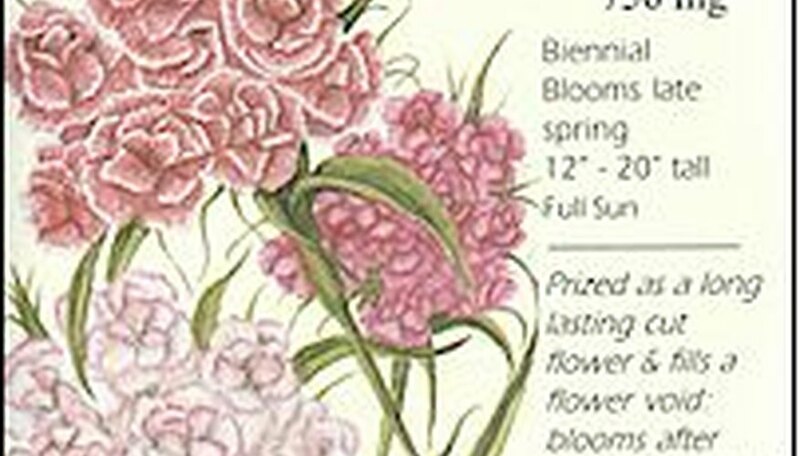 In order to get early blooms, it is recommended that you start indoors. Special Germination Instructions: Seeds require light to germinate. Press lightly onto the soil surface. Seed Depth: Press lightly onto soil surface. This flavorful golden pepper is the classic garnish for deli sandwiches, salads and pizza. Usually picked and pickled in the yellow stage, it holds its color and flavor well when processed. A very productive variety - you'll have lots of peppers to pickle. 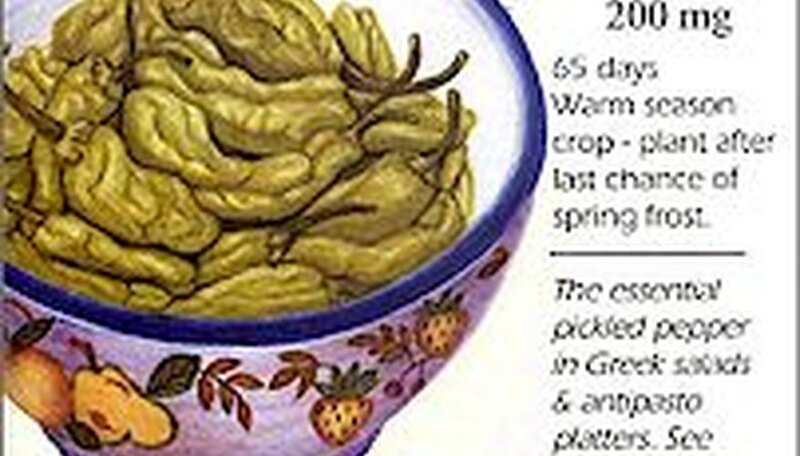 Pickling recipe included. When to Sow Outside: 3 to 4 weeks after last frost and when the soil temperature is at least 65 degrees and the outside temperature is at least 70 degrees. Starting indoors is recommended. Thinning: Start indoors and space plants 24 inches apart. Zulu Prince is a gorgeous cut flower, with a 4" flower held on a long stem. 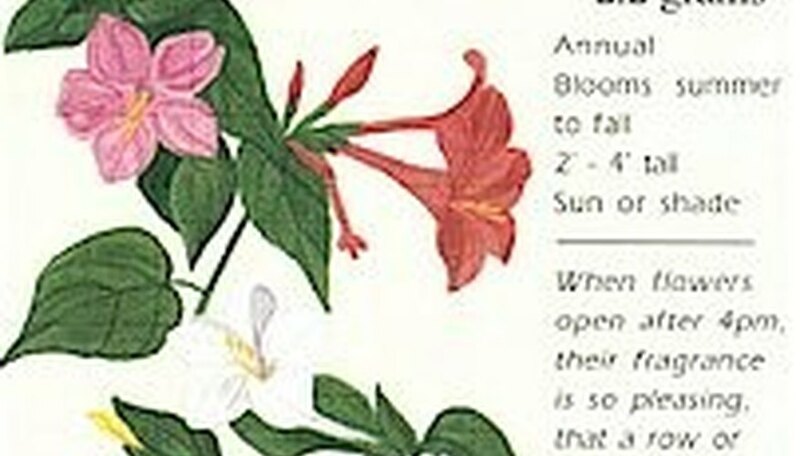 The interesting flowers bloom over a long period, from midsummer well into fall. Silvery foliage is attractive. Plants are heat and drought resistant and tolerant of poor soil. This flower is also known as 'Monarch of the Veldt'. When to Sow Outside: Spring - after average last frost date. When to Sow Inside: Spring - 4 weeks before last frost. 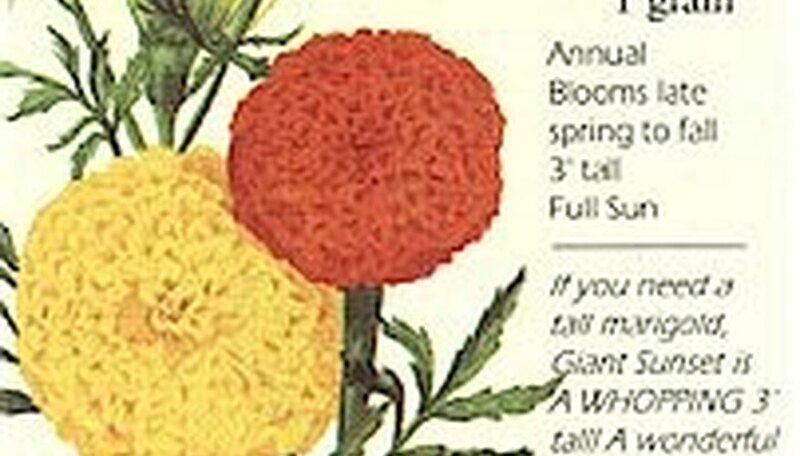 If you love marigolds, why not go all out and try a marigold that will grow 3' to 4' tall! 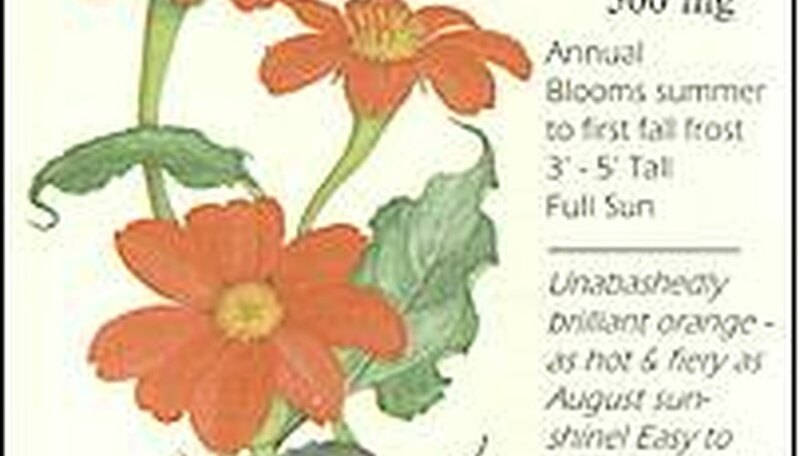 Large, double flowers bloom in beautiful shades of orange and yellow. In very hot desert climates they bloom best in fall. A hint to make tall varieties stronger: when transplanting, dig deep planting holes and strip off the leaves below the soil line. Long lasting cut flowers. A genuine heat lover, Mexican Sunflower sets the dog days of summer ablaze with sizzling orange daisies. A large and imposing plant for the back of the border. Tolerates infertile soil, drought, and neglect. Easy for new gardeners and children. Attracts butterflies - Especially the elegant swallowtails. Lovely mixed with purple grass. Seeds need light to germinate. When to Sow Outside: After last frost date. Seed Depth: Requires light to germinate. Press seed lightly onto soil surface or cover with just a dusting of soil. Thinning: When 2" to 3" tall, thin to 24" apart. 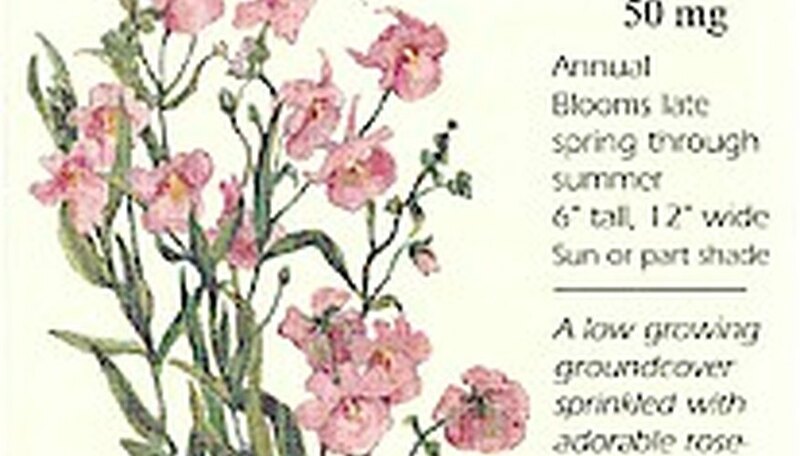 You will fall in love with this member of the Snapdragon family for its charming, shell-like, rose-pink flowers. 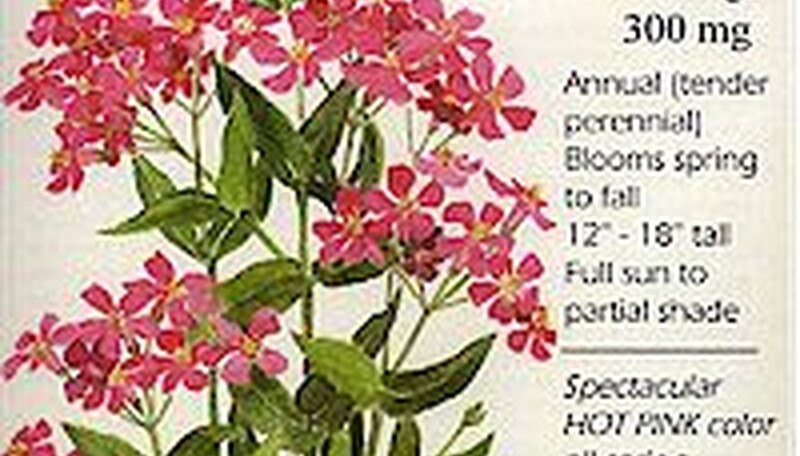 It has many uses: in windowboxes where trailing plants are desired, as an annual groundcover in alpine/rock gardens, or mixed with lobelia and alyssum in borders. Plants are drought tolerant and take full sun, but will also flower in light shade. When to Sow Outside: Early Spring - 2 to 4 weeks before last frost or later. None-So-Pretty Planted in mass, Catchfly has an absolutely breathtaking impact (and this may be an understatement)! The sticky stem captures small insects, hence the name Catchfly. Excellent for borders, containers, and rock gardens. Catchfly is a hardy annual, and even a tender perennial in mild winter climates. Reseeds easily. Grows in a wide variety of conditions. When to Sow Outside: Early spring, 1 to 2 weeks before last frost is best. 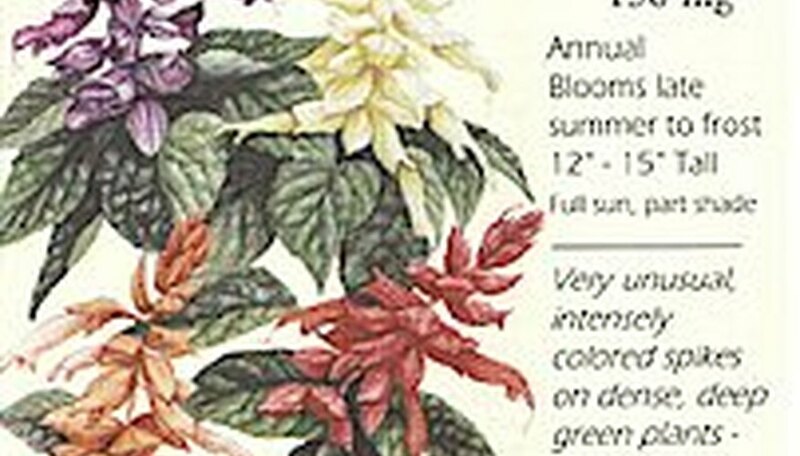 Plant in late summer or early fall in warm climates for early spring blooms. Barely cover seeds with soil. This easy-to-grow annual adds color to the late summer garden when many flowers are beginning to fade. The fluffy clusters of deep carmine-rose flowers are wonderful for attracting butterflies. Gives a strong vertical dimension and makes a excellent background plant. It makes a great cut flower and the seed capsules dry well. The plants reseed themselves. This easy-to-grow annual adds color to the late summer garden when many flowers are beginning to fade. The fluffy clusters of deep violet flowers are wonderful for attracting butterflies. Gives a strong vertical dimension and makes a excellent background plant. It makes a great cut flower and the seed capsules dry well. The plants reseed themselves. When to Sow Inside: 4-6 weeks before last frost. 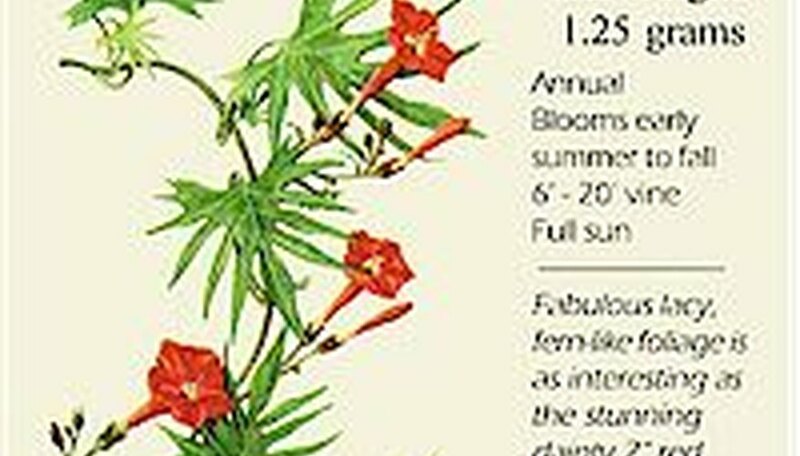 Seed Depth: 1/4 " to 1/2"
Named for its characteristic of blooming after 4PM, Four O'Clocks grow and flower almost anywhere, including hot, windy sites. Excellent as an annual hedge. Where the ground never freezes, tubers are considered perennial. In cold climates, tubers can be dug and planted next spring. Reseeds freely. Does well in barrels, tubs, and large pots. Outstanding fragrance when blossoms are open. When to Sow Outside: Spring, after average last frost date. This cheerful member of the Sunflower family will delight gardeners with its vivid yellow and maroon flowers and feathery green foliage. Used to attract butterflies and birds - lovely 'filler' in cut flower arrangements. The flowers are edible and very decorative in salads. Beautiful in wildflower plantings. Reseeds readily. Drought tolerant. Flowers can be dried in silica gel. When to Sow Outside: In spring after all danger has passed or in late fall in mild winter areas. An excellent plant for the back of a flower bed or against a wall or fence. Spikes of densely packed rose colored flowers are elegant for cut & dried flower arrangements. Flowers can be dried (see instructions inside packet.) 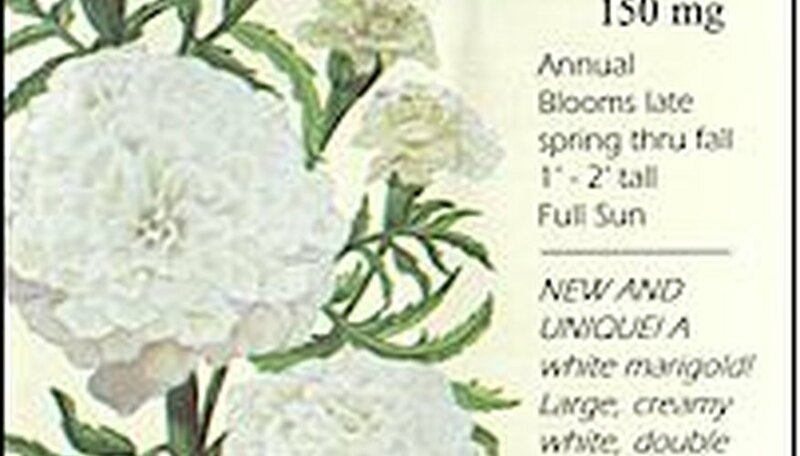 Blooms in cool weather of spring and early summer, but can continue blooming through fall. Prefers a sunny but cool location.